Nuby toys shared are c/o Nuby. As always all thoughts and opinions are 100% my own. 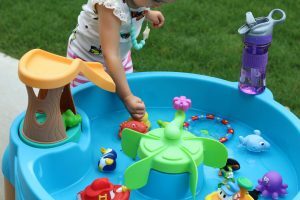 Izzy LOVES water play & now that it’s summer we are taking the water play outdoors. Learning can be so easy. 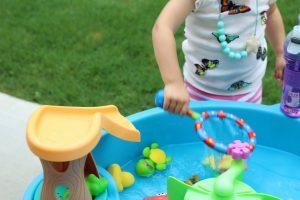 Take a fun afternoon at the water table and turn it into early science. 3. Get some floating toys. 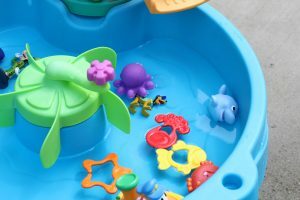 Nuby has a lot of amazing water toys! I linked up some of our favorites for you. 4. 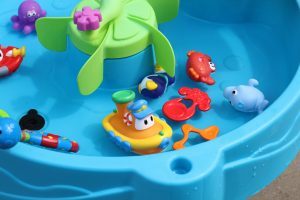 Let your child play and get familiar with the toys in the water play area. 6. Toss the sinking toys in with your child. What kid doesn’t love throwing? Talking about how they sink to the bottom. 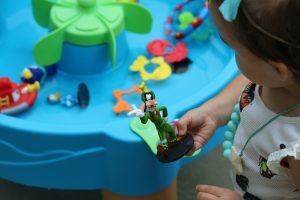 We love these Nuby toys and our water table! We love all water activities! My kids love water play. Avery would have a blast with toys in a water table! That water table is awesome, my daughters would love it! Evelyn is obsessed with her water table! We need to get some new toys for it. I will check out these Nuby ones! I love this idea! 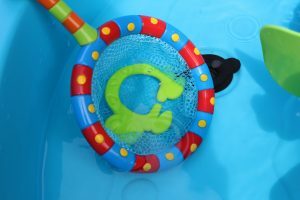 My kids love anything that involves water, so we’ll have to try it! Yes, we do this and the kids love it!